The Chief of Defence (French: Chef d’État-major de l'Armée) is a position in the military of Luxembourg and head of the Luxembourg Army. The Chief of Defence is the professional head of the armed forces, and in charge of the day-to-day operation. The current Chief of Defence is Alain Duschène. He is formally subordinate to the Grand Duke, whom the Constitution names as the commander-in-chief, but answers to the Minister for Defence in the civilian government. 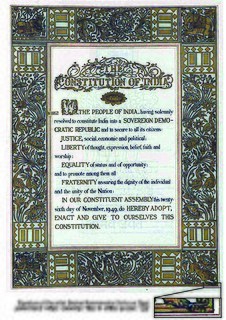 ^ "Une monarchie constitutionnelle" (in French). Service Information et Presse. Retrieved 26 November 2010. ^ "Organigramme" (in French). 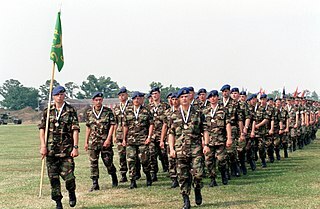 Army of Luxembourg. Retrieved 26 November 2010. The Ministry of Defence is the British government department responsible for implementing the defence policy set by Her Majesty's Government and is the headquarters of the British Armed Forces. Chief of the General Staff (CGS) has been the title of the professional head of the British Army since 1964. The CGS is a member of both the Chiefs of Staff Committee and the Army Board. Prior to 1964 the title was Chief of the Imperial General Staff (CIGS). Since 1959, the post has been immediately subordinate to the Chief of the Defence Staff, the post held by the professional head of the British Armed Forces. The Chief of the Defence Staff is the second most senior member of the Canadian Armed Forces and heads the Armed Forces Council, having primary responsibility for command, control, and administration of the forces, as well as military strategy, plans, and requirements. The position is held by a senior member of one of the three main branches of the Canadian Armed Forces. The current CDS, since 17 July 2015, is Jonathan Vance. The Inspector General of the Bundeswehr, officially translated as Chief of Defence, is the highest-ranking military post held by a commissioned officer in the Bundeswehr, the present-day armed forces of Germany. The Ministry of Defence is charged with coordinating and supervising all agencies and functions of the government relating directly to national security and the Indian armed forces. 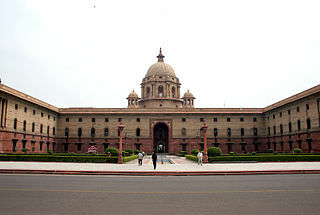 The Ministry has the largest budget among the federal departments of India and currently maintains fifth in military expenditure, among countries of the world. General Sir Peter Anthony Wall, is a retired British Army officer who served as the Chief of the General Staff, the professional head of the British Army, until September 2014. Wall had previously been the Commander-in-Chief, Land Forces from August 2009 to September 2010. He succeeded General Sir David Richards as Chief of the General Staff in September 2010, the latter going on a month later to be Chief of the Defence Staff. General Gaston Reinig is a Luxembourgian soldier and a former Chief of Defence of the Luxembourg Army. He replaced Nico Ries in 2008, having previously been Commander of the Military Training Centre in his hometown of Diekirch. He was promoted to general in March 2008: the first Chief of Defence to hold the rank. The Ministry of the Armed Forces is the French department in charge of managing the French Armed Forces inside and outside French soil. France is an active member of NATO.